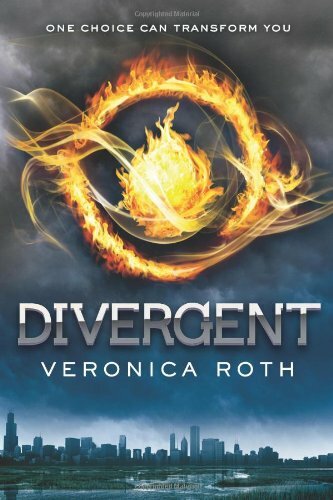 I found Divergent by accident on Amazon’s site and thought of giving it a try. I wasn’t able to put it down after an hour into it and I find it refreshing. It has enough actions, roller coaster on emotions and a simple love story without a love triangle. Fictions on dystopia world are getting popular due to bestselling Hunger Games series. Divergent has some similarities to Hunger Games. Instead of 14 cities broken out into their productivity, the society of was divided into 5 personalities: Candor (the honest), Abnegation (the selfless), Dauntless (the brave), Amity (the peaceful), and Erudite (the intelligent). This book is about the journey where a girl finding herself. I will be definitely looking out for the second book of this trilogy. At age 16, everyone will choose his or her own faction based on an mental aptitude test result except for Beatrice. Her test result is inconclusive. She is a Divergent, where she inherits qualities from multiple factions which is a big no-no in her world. She chose to join the Dauntless while her brother Caleb joined the Erudite when both of them are from the Abnegation. It is unusual for them to choose other the faction they were born into. Beatrice who later changed her name to Tris received her training from Four and Eric. Four and Eric each has different vision for Dauntless. First phase, she was trained on combat and weapons. Second phase, she was trained to face her fears in simulations. Her ability of mind breaking within simulation allow her to excel in the second phase of training. The love between Four and Tris blossomed. The Abnegation was appointed as the government due to their selfless nature. The power hungry Erudite, led by Jeannie, developed a simulation serum to mind control the Dauntless to overthrow the Abnegation. Tris and Four were able to escape but not without sacrifices.